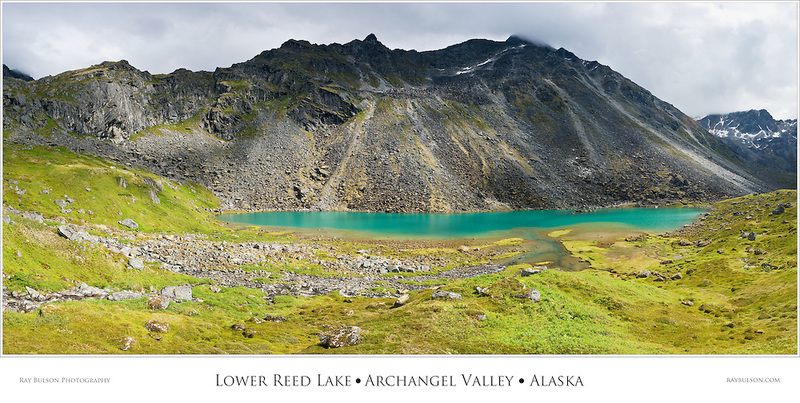 Composite panorama of Lower Reed Lake and Talkeetna Mountains from Reed Lakes Trail in Archangel Valley at Hatcher Pass in Southcentral Alaska. Summer. Afternoon.